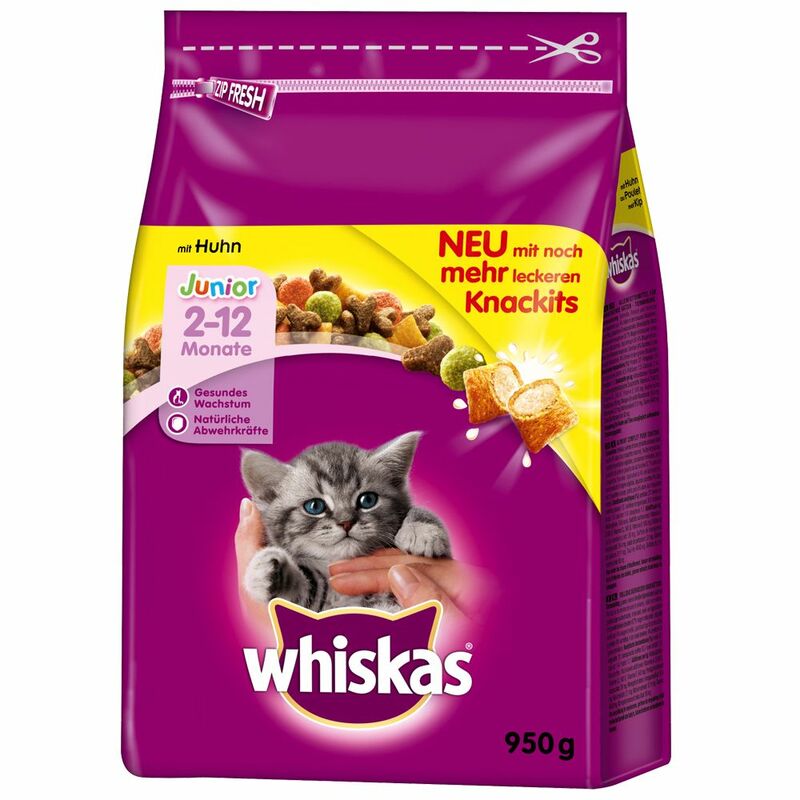 Whiskas Kitten with Chicken dry cat food was specifically developed to meet the nutritional needs of kittens aged up to 12 months old and pregnant or lactating cats. Feeding your cat the right food when your pet is young and still developing sets the foundations for a long and healthy life. During growth phases your kitten has increased energy and protein requirements. It is also important that kittens get all the vitamins, minerals and nutrients they need to develop properly. Whiskas Kitten provides your cat with a balanced nutrition which tastes good and helps to keep your kitten healthy. The different coloured kibble provides a very special and varied taste experience for your little cat. Whiskas Kitten with Chicken at a glance: Complete dry food for growing cats aged 2-12 old, as well as pregnant or lactating cats Premium quality, healthy ingredients for a balanced nutrition Gently prepared Formulated to meet the nutritional needs of kittens with the appropriate energy and protein content Well-accepted: chicken is easy for kittens to digest Rich in calcium: encourages strong bones and teeth With vitamin A, B and E and minerals support a healthy immune system In a practical resealable bag, which ensures that the kibble stays fresh for longer Please be advised: the images of the products on our site are for illustrative purposes only and actual packaging may vary.